Can you believe the ferocity? Don't let their precious fleece frocks fool you. 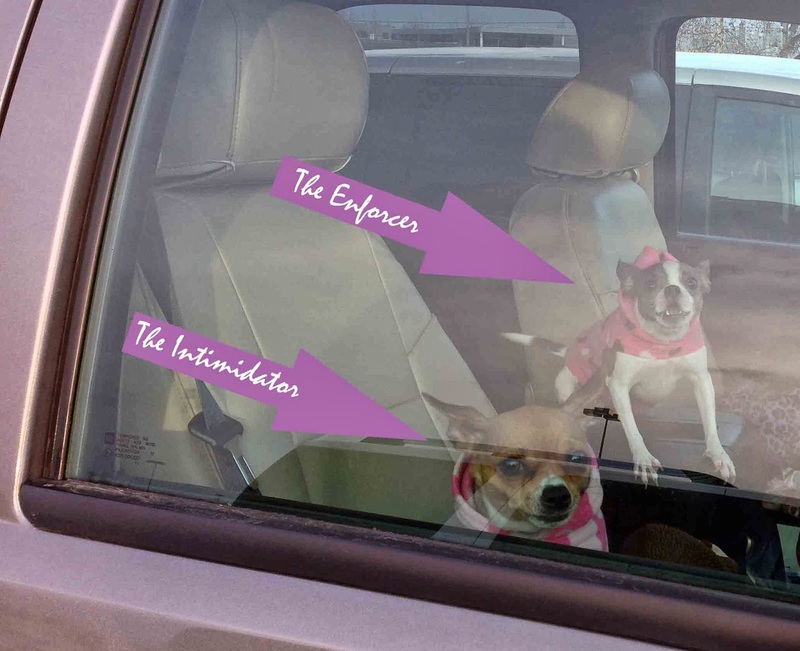 These dogs will take off your finger if you get near them. Just TRY to enter this vehicle. Come on! We dare ya. The owner probably christened her two little angels something like Tippy and Tia, but you know their secret dog names are Piranha and Miz Psycho. One of the twins is determined to "do the splits." I remember wanting to do the same thing when I was her age. I would practice by jumping up in the air and slamming down on the floor, hoping the force of my movement would cause my legs to stretch out further. 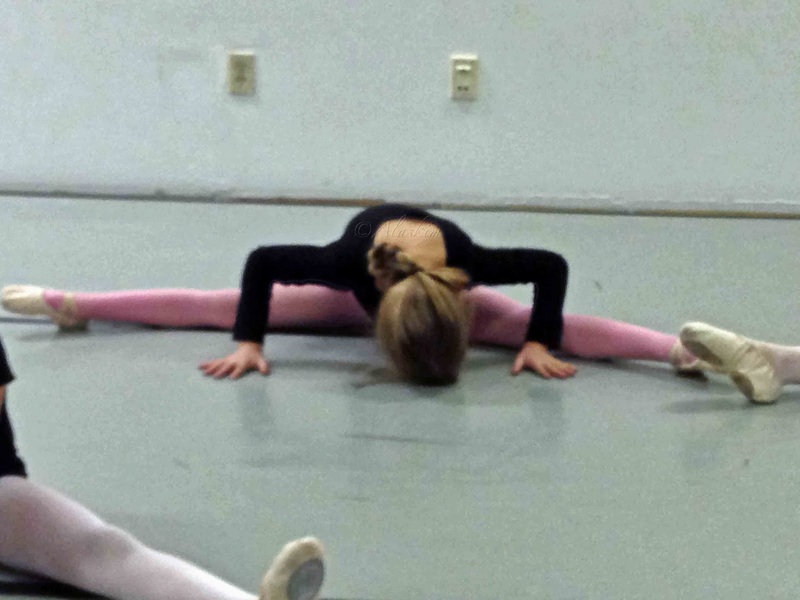 There was no gentle stretching in ballet class for me. Have I mentioned that I have an appointment on December 17 to see an orthopedic surgeon about the pain in my right hip joint? I'm not even joking. I can barely walk these days. I'm wondering if perhaps my method of achieving the splits via shocking and awing my legs into submission was not the best approach to reaching my goal. Back to work. I thoroughly enjoyed my unexpected day off yesterday, but it's time to snap back to reality. I have 11-year-olds to wrangle, parents to call, team teachers to meet with, papers to grade, and graffiti to erase out of books. No matter how crazy my day might get, though, I can always look out my classroom window for an attitude adjustment. The sky, it is vast. 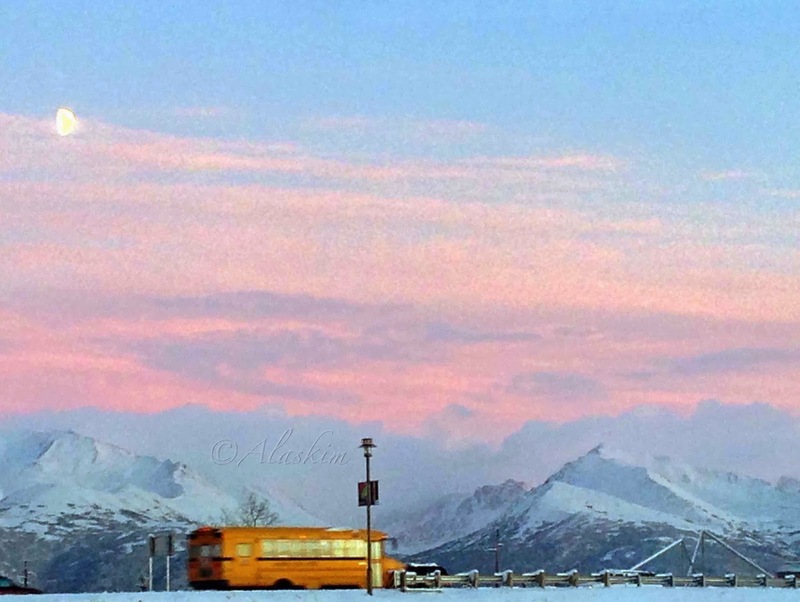 The school bus, it rolls on. As I'm finishing my cup of coffee, savoring what I know will be my last moment of quiet before I go to wake up the kids and begin the morning rush to get ready for school, the phone rings. It's early, and I glance at the clock: 5:59. Could it be? Could this be the day that all my prayers are answered? I pick up the receiver, shout a happy greeting into the mouthpiece, and wait to hear those two heavenly words . . . SNOW DAY. That's right—SCHOOL'S CANCELLED! A freezing rain has hit our area, and the roads are slicker than, well, you can supply your own imagery. I don't give a rat's patoot that my own children get the day off; I'm happy that I don't have to go in to work. No teaching of the sixth graders will occur today. I can catch up on grading and planning from the warm comfort of my home. I can finish up the laundry that's been sitting on top of the washer for weeks days. I can pull out the Christmas boxes from the attic and start decorating the house, a task I didn't think I would get to until this weekend. I CAN BLOG!